Determination. David McCullough is a historian who really knows how to tell a story. We all know one part of the story: Wilbur and Orville Wright built and flew the first motor-powered airplane. 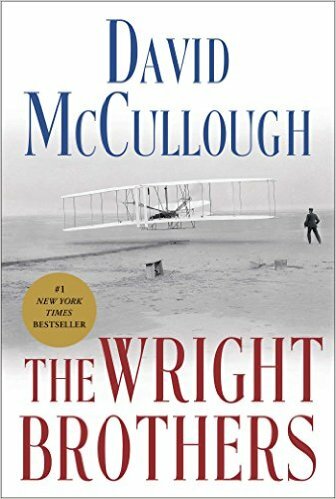 What it took for that happen, how they did it, what came before and what came after the Kitty Hawk flight, provide for hours of engaging reading in McCullough’s book titled, The Wright Brothers. The determination and self-reliance of these brothers captures the spirit of the United States especially during that era of radical invention and progress in the early twentieth century. McCullough selects just the right details to present, but never overwhelms his audience. Readers who like history will love this book. Rating: Five-star (I love it) Click here to purchase The Wright Brothers from amazon.com. Balance. 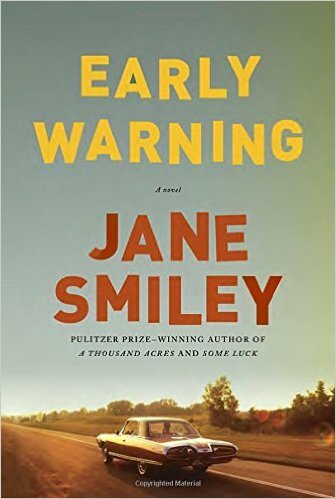 The middle book in Jane Smiley’s trilogy about the Langdon family is titled, Early Warning. The children are having children, and the paths being chosen represent a wide swath of mid-twentieth century life in America. Smiley’s writing maintains such perfect balance between the drama of the individual life and the turbulence of the era. Her characters are complex and finely drawn, and capture aspects of their time and place with precision. Just as in our lives, these characters are full of joy at one moment and suffering at another over the smaller and everyday elements of living. We live in the context of what’s going on around us, with big events and small events, and exploring that balance is what I think Smiley achieves with great skill in this novel. Readers who enjoy fine writing should like this novel and this trilogy. Rating: Five-star (I love it) Click here to purchase Early Warning from amazon.com. Newark. 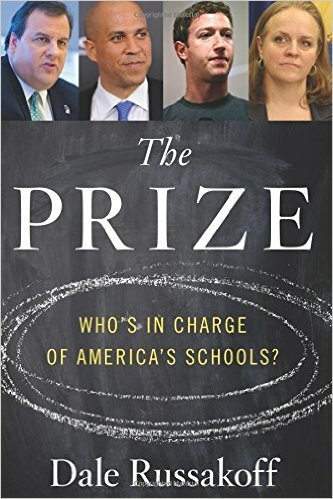 Any reader interested in public education in the United States should read Dale Russakoff’s book titled, The Prize: Who’s in Charge of America’s Schools? In this finely written book, Russakoff relates the story of the Newark school system over the past five years. She takes readers from the magical time in 2010 when Cory Booker, Mark Zuckerberg and Chris Christie came together with power and money to change the school system and provide a model for other school systems to follow. We learn how a lot of money was spent, how a community reacted to changes from outside, and the impact of this effort to date. I finished this book and felt informed and angry. Rating: Four-star (I like it) Click here to purchase The Prize from amazon.com. Escape. You can run but you can’t hide. Ray Welter, the protagonist of Andrew Ervin’s debut novel titled, Burning Down George Orwell’s House, runs away from his advertising job in Chicago for the Scottish island of Jura where he rents the remote house named Barnhill in which George Orwell wrote most of the novel 1984. Thinking he would find the same refuge that Orwell had discovered, Ray instead finds that the islanders knew plenty about Ray from the Internet, and their world is as packed with crazy behavior as the life he was trying to escape. Sampling lots of whisky didn’t bring Ray any closer to enlightenment about the human condition. Readers looking for a funny and intelligent novel are those most likely to enjoy this one. I laughed enough, and enjoyed a drink or two, enough, in fact, to start rereading 1984. Sláinte! 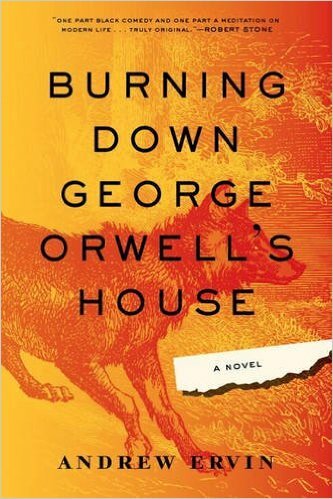 Rating: Four-star (I like it) Click here to purchase Burning Down George Orwell’s House from amazon.com. Loneliness. On the Upper West Side of Manhattan and in most places in the United States, an extramarital affair is not a rare event to shock the community. 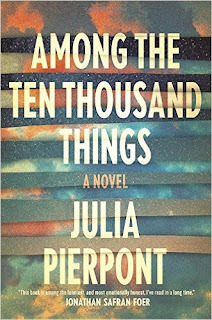 In her debut novel titled, Among the Ten Thousand Things, Pierpont presents the Shanley family, husband, wife, brother and sister, and begins with a dramatic way in which the infidelity of husband Jack comes to light. What Pierpont goes on to do is reveal the loneliness of each character over time, and the ways in which love can endure hardship and infidelity. 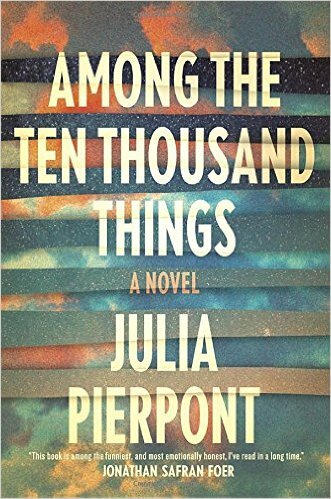 Pierpont writes with great skill, and I look forward to reading more of her writing. Rating: Four-star (I like it) Click here to purchase Among the Ten Thousand Things from amazon.com. Unhurried. Those of us readers who are addicted to character-based fiction series will be delighted with the return of Jack Reacher in the novel by Lee Child titled, Make Me. As an individual with no fixed abode, Reacher can follow his whims as he meanders in an unhurried manner. When he gets off a train at a town called Mother’s Rest, he inquires about the source of the town’s name and no one tells him. His curiosity increases rather than being satisfied, so he hangs around. What follows is action, killing, gore and other forms of violence and crime that will not appeal to readers with squeamish stomachs. 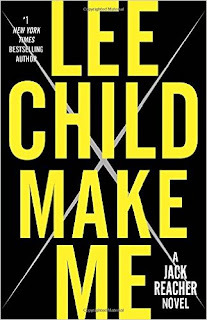 Fans of Reacher will delight in his latest way of just being Reacher. Rating: Four-star (I like it) Click here to purchase Make Me from amazon.com. Valor. 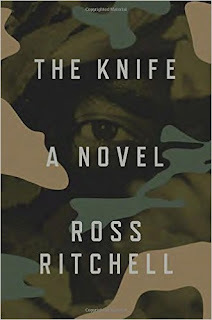 Ross Ritchell’s debut novel titled, The Knife, offers 99% of Americans a glimpse at the valor of those soldiers we don’t know who are fighting our contemporary wars. Given Ritchell’s experience as an Army Ranger, we can assume that his novel is authentic to the experiences of our special forces. I was blown away by the skill with which Ritchell reveals the introspection and ambiguity that our members of the military deal with every day. Ritchell has great skill as a writer, and any reader who wants a deeper understanding of those who are fighting for us in our contemporary wars will find insight on these pages. Rating: Four-star (I like it) Click here to purchase The Knife from amazon.com. Intense. 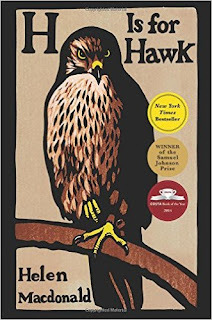 I expected to browse a few pages of Helen Macdonald’s memoir titled, H Is for Hawk, and then set it aside. After all, I have no interest in goshawks or other birds of prey, and couldn’t imagine that this book would keep my attention. By the second page, Macdonald had me in her talons, thanks to her fine writing. I find that memoirs can offer readers insight into lives quite different from our own while providing insight into our own lives. Macdonald writes this memoir as she grieves her father’s death, and the raw intensity of her grief embeds the prose with its power. I think this is one of the finest explorations of grief that I have ever read. Rating: Five-star (I love it) Click here to purchase H Is for Hawk from amazon.com. Operatic. Readers who like wacky humor, especially comic opera, are those most likely to enjoy reading Nell Zink’s novel titled, Mislaid. I was thoroughly entertained by this southern soap opera and its riffs on race, gender, sexual identity and class. Zink’s characters are memorable, and she develops them in a way that they seem both familiar and odd at the same time. She offers an American family that seems like no other we may know, and yet seems exactly like every family we know. 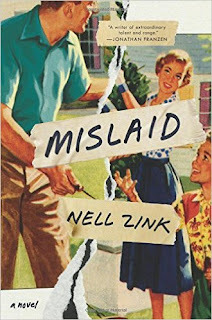 Rating: Four-star (I like it) Click here to purchase Mislaid from amazon.com. Winning. 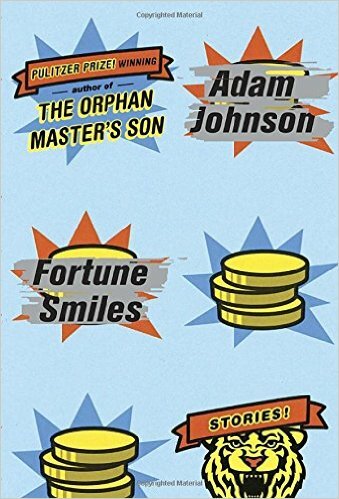 After reading the six short stories in the collection by Adam Johnson titled, Fortune Smiles, I gained a deeper understanding of why this fine writer has won so many awards. 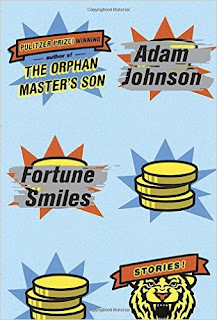 With finely written prose, using great efficiency, Johnson develops characters fully and places them in situations of conflict or change that allows readers to gain insight into our human condition. Readers who appreciate finely written prose, especially those who like short stories, will find superb writing in this collection. Rating: Five-star (I love it) Click here to purchase Fortune Smiles from amazon.com. Wisdom. Almost every person spends part of each day figuring out how to live, and eventually spends part of each day figuring out how to die. 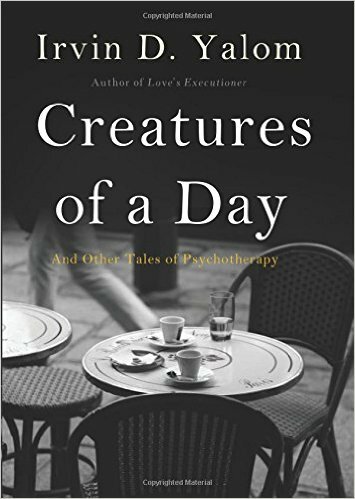 Psychiatrist Irvin D. Yalom tells the stories of ten of his patients in a book titled, Creatures of a Day: And Other Tales of Psychotherapy. The result is insight into therapy; an intimate view of the relationship between one doctor and some of his patients; and great wisdom about the meaning of life and how to live well and die well. I was enthralled by this book, and Yalom’s openness. 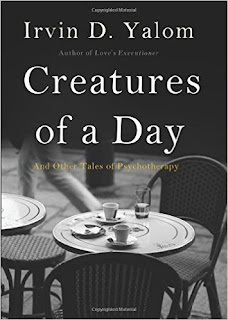 Readers with any connection to psychotherapy will especially enjoy reading this book, but I think the appeal extends to anyone who thinks about the meaning of life. Rating: Five-star (I love it) Click here to purchase Creatures of a Day from amazon.com. Abundance. I am often entertained by reading crime fiction. 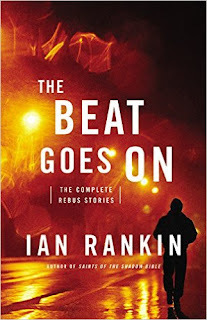 One of my favorite protagonists is the detective John Rebus created by Ian Rankin. While I’ve read Rebus novels in the past, I’ve never read any of the short stories, so I was overwhelmed and delighted by the scope and abundance of the 31 stories in the collection titled, The Beat Goes On. From rookie to role model, the Rebus stories in this collection were a delight to read, and will likely entertain any reader who enjoys character-driven crime fiction. Rating: Four-star (I like it) Click here to purchase The Beat Goes On from amazon.com. Maine. One reason that I love to read short stories is that I can pick a time when I’m unlikely to be distracted and give my full attention to reading for a few minutes or maybe a half hour. I can stop after I finish a single story and feel a sense of satisfaction. In her collection title, The State We’re In, Ann Beattie offers glimpses into life. She often takes a sideways glance into something quite ordinary, and builds a story that can relate the fullness of life. Set mostly in Maine, the stories in this collection brought me back to that place and to the people who live there. 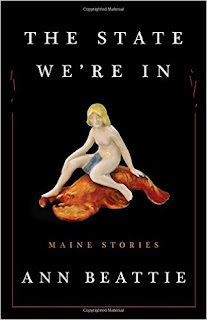 For those readers who like short stories, and appreciate finely written prose, this collection will bring satisfaction. One sentence (p.51) remains with me: “No day failed to contain the unexpected.” Rating: Four-star (I like it) Click here to purchase The State We’re In from amazon.com. Mixed. 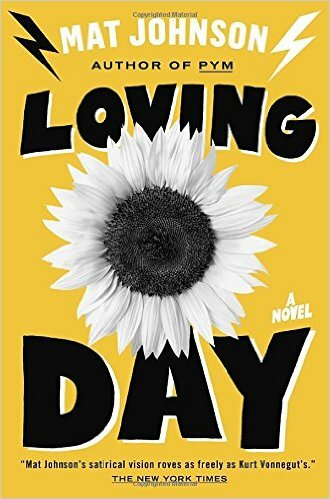 Readers who enjoy fine writing and social satire are those most likely to enjoy reading Mat Johnson’s novel titled, Loving Day. Protagonist Warren Duffy is the emerging twenty-first century American Everyman. Warren is the child of a black woman and an Irish-American white man. After he returns to Philadelphia from Wales where his marriage failed, he discovers that he fathered a daughter who has been raised Jewish. Living in the rundown house he inherited from his late father, Warren sees ghosts and struggles to survive. I found myself laughing and thinking as Johnson guided me through the themes of this novel: identity, race, and family. Rating: Four-star (I like it) Click here to purchase Loving Day from amazon.com. Taboo. Many parents struggle to communicate with children about money. 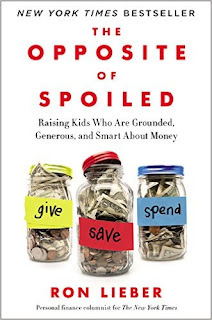 Thanks to Ron Lieber’s book titled, The Opposite of Spoiled: Raising Kids Who Are Grounded, Generous, and Smart About Money, parents can find ideas and vocabulary to engage with children on this important topic. Many readers are familiar with Lieber from the “Your Money” column he writes for The New York Times. For any parent who has avoided the topic of money with children, here’s a great resource to use in breaking the money taboo. I was delighted by the easy conversational style in which Lieber invites parents across the economic spectrum to approach this subject. Rating: Five-star (I love it) Click here to purchase The Opposite of Spoiled from amazon.com.